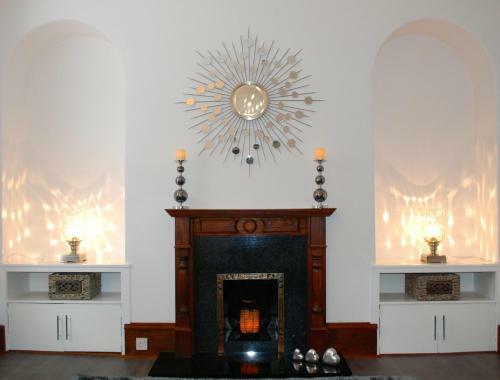 Luxury four star serviced apartments in the West End of Aberdeen. 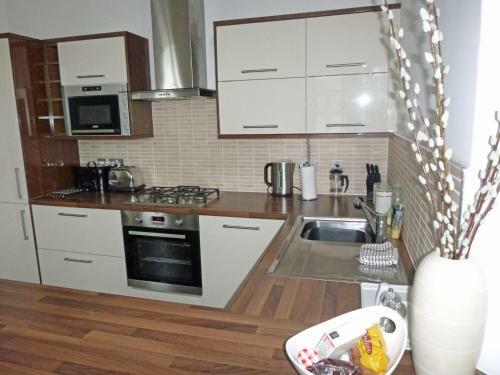 The modern flats are beautifully furnished and have fully equipped kitchens. 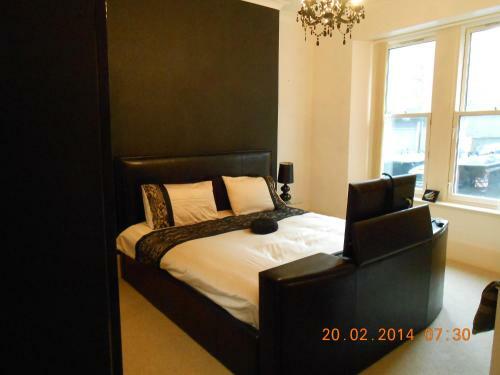 Two bedroom flats sleep four and the penthouse apartment sleeps six guests. Each apartment has a balcony, attractive wood floors and an LCD television. There? ?s free wifi and free parking. The location of Kepplestone Manor apartments in Queens Road is a 15 minute drive from Aberdeen airport. These central Aberdeen serviced apartments are less than 3 miles from the AECC and can sleep two people in a homely environment. 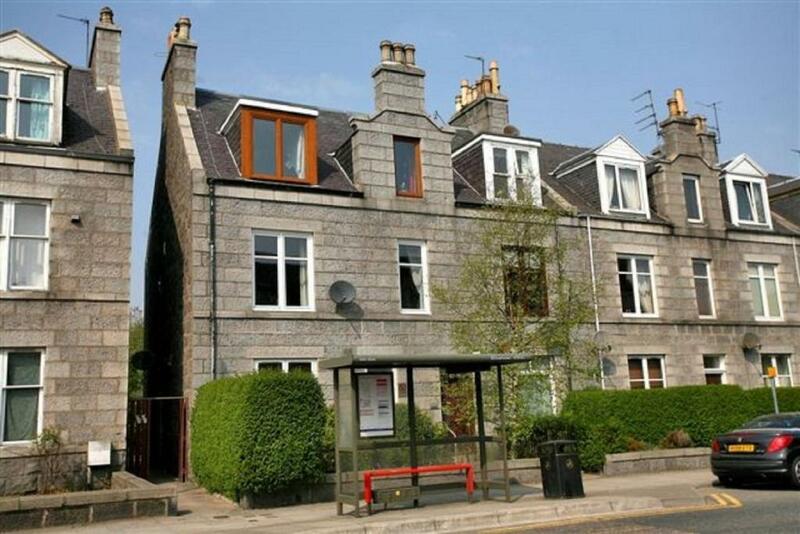 Excellent city centre apartment just 200 yards from Aberdeen Habour. Popular and highly rated guests, Mode Apartments provides a comfortable and stylish place to stay in the historical Adelphi. 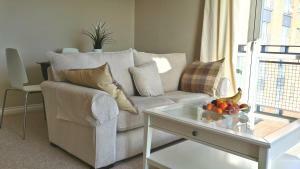 Stylish studio apartment in Muchalls, a 20 minute drive down the A90 from Aberdeen city centre. APL offer a number of serviced apartments in locations around Aberdeen but they're all within 2.5 miles of the city centre. 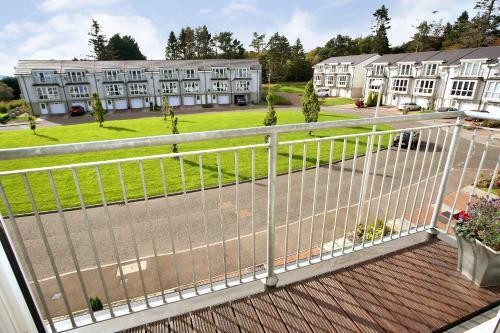 Lovely four bedroom townhouse in Cults, less than 3 miles from the centre of Aberdeen. The beautiful property, which sleeps seven, has free wifi and free parking in the house? ?s own garage. 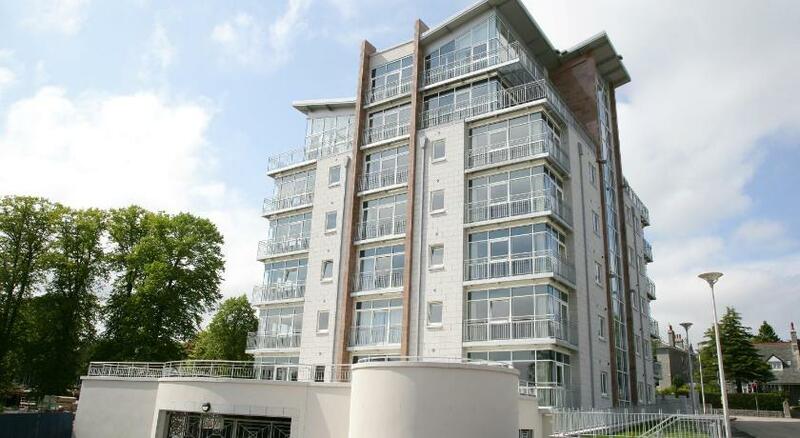 One bedroom serviced apartment in Rosemount Place, a short distance from the Royal Cornhill hospital. The property sleeps four with its double bedroom, a single bef and a pull out bed. 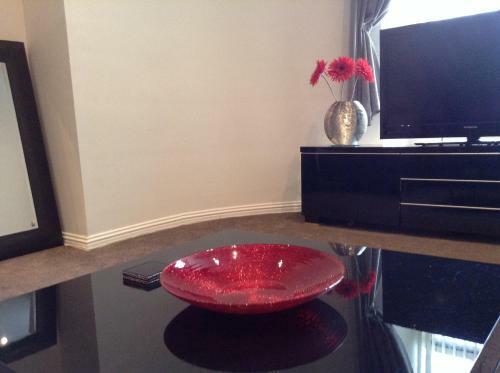 Superior two bedroom apartment in a central Aberdeen location with free wifi and free parking. 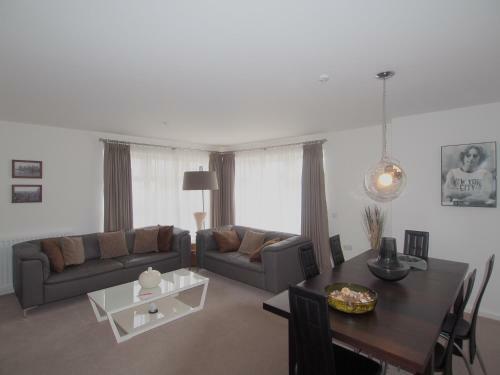 Fabulous one bedroom apartment which sleeps 2 in Hilton Road, 10 minutes?? drive from the city centre. Luxury bathroom with free toiletries, free wifi and free parking. Four star serviced apartments in Aberdeen's Howburn Place, just a few minutes' walk from the city centre. 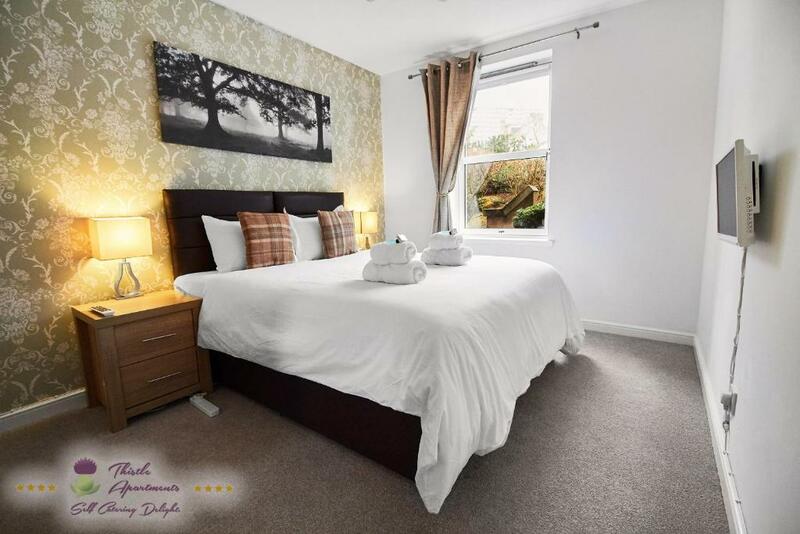 3 star serviced apartment in Broomhill Road, Aberdeen, about a mile and a half from the city centre. Luxury serviced apartments situated a few minutes from Aberdeen city centre and also within easy reach of both the A90 and the river Don. Aberdeen serviced apartment for business and leisure travellers seeking self catering accommodation in the city of Aberdeen. A range of serviced apartments are available in Aberdeen city centre and also further afield in places like Bucksburn and Peterculter. International airport with flights to a range of domestic and European destinations. Shopping mall and retail park in the heart of Aberdeen. Stores here include Marks & Spencer, Next, Apple, Zara, Boots, Costa, Krispy Kreme & Starbucks. Multi-functional venue providing a leisure pool, including wave machine and four flumes, a fully equipped gym and health suite facilities. Aberdeen railway station is the busiest station in Scotland north of the major cities of Glasgow and Edinburgh. Interactive and multi-media displays telling the story of Aberdeen's maritime heritage and the North sea oil and gas industry. Large shopping centres in Aberdeen that are home to branches of John Lewis, Next, M&S, and many more.